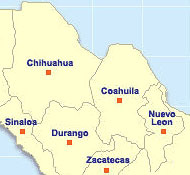 Coahuila is located in the northeastern Mexico and is the country's third largest state. Coahuila is bordered to the north by the United States (state of Texas) with which it shares a 320 mile border along the Rio Bravo del Norte (Rio Grande River). Within Mexico, Coahuila's neighbor to the east is Nuevo Leon, to the west is Chihuahua and to the south Zacatecas, Durango and San Luis Potosi. Because the state lies within a desert region, there is little annual rainfall. With the help of irrigation, Coahuila produces a large amount of figs, grapes and walnuts. Cotton, wheat, corn and sorghum are also major crops of the state. Mining for coal, copper, silver and lead is prevalent in Coahuila with the state producing 95% of Mexico's coal production. The Spanish first explored this region of Mexico, searching for silver, in the year 1535. However, the indigenous Chichimecs, followed by the Apaches, proved to be worthy adversaries and this area of Mexico was largely left undisturbed until the early 1800's. In 1821, Coahuila and the state of Texas formed one state within the new republic of Mexico. This union didn't last long, however. With the events of the Mexican-American war the portion that is now present day Texas was forever lost to Mexico. 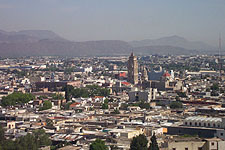 The capital of the state, Saltillo, is located just 53 miles southwest of Monterrey. Saltillo was founded in the year 1577 which makes it the oldest city in northeastern Mexico. Due to its elevation at 5,000 ft. the climate is temperate. As a result, Saltillo is a popular summer resort where many come to enjoy recreational activities such as golfing, tennis, swimming and polo. Within Saltillo there are lovely historic colonial buildings to see and great restaurants to enjoy. The outskirts of the city are quite different in both look and feel with sprawling suburbs and major industrial plants. In late July each year the city holds its annual cultural festival for nine days celebrating the city's foundation. Parras de la Fuente, 100 miles west of Saltillo, is a charming vineyard town. The grapevines (parras) are irrigated by underground streams. The first winery in the Americas was founded here in 1597. Now called Casa Madero, the winery can be found 2 miles north of town and both quality wine and brandy can be purchased here. While visiting Parras de la Fuente, a beautiful place to see is the Iglesia del Santo Madero. This historic church sits atop a hill which once formed the top of a volcano (now extinct). It's a steep climb to the summit but the effort is well rewarded. The expansive view from this vantage point is fabulous. If you enjoy swimming, be sure to check out the city's estanques (large pools where fresh water is stored). They are well maintained and offer great swimming conditions. Should you be in town during the month of August, you are in for a delight. This is when the city holds it annual grape fair called the Feria de la Uva. Parades are held, fireworks light up the evening sky and horse races bring an air of excitement to the town. An enchanting and ecologically important place to visit while in Coahuila is the city and surrounding area of Cuatro Cienegas (four marshes). The landscape here is extraordinary. Located in the Chihuahuan Desert, this environment is unique and strikingly beautiful. This ecosystem supports nearly 80 species of plant and animals found nowhere else on Earth. 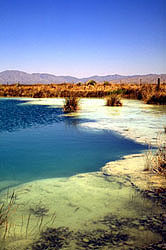 Hundreds of turquoise freshwater springs dot the desert landscape. The area is now protected as the area has become endangered but some pools have been set aside for recreational swimming and snorkeling. 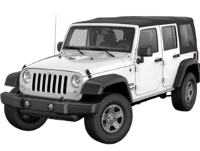 For pleasure or business National Car Rental is your best option for rental cars in Mexico. With us you will always get the best deals on all types of rental cars. We have offices in twenty six cities in Mexico: Cd. de Mexico, Cancun, Cd. del Carmen, Chetumal, Culiacan, Guadalajara, Hermosillo, Irapuato, La Paz, Leon, Los Cabos, Mazatlan, Merida, Mexicali, Monterrey, Playa del Carmen, Puerto Vallarta, Queretaro, Saltillo, San Luis Potosi, Tijuana, Toluca, Tuxtla Gutierrez, Veracruz, Villahermosa.